Rock your Disney Side with Orlando Fun and Food and Destinations In Florida! 6am Open the Park with a special Rope Drop with Heros and Villlians! 6pm Tomorrowland Terrace for a meet up with Disney Parks Podcast! 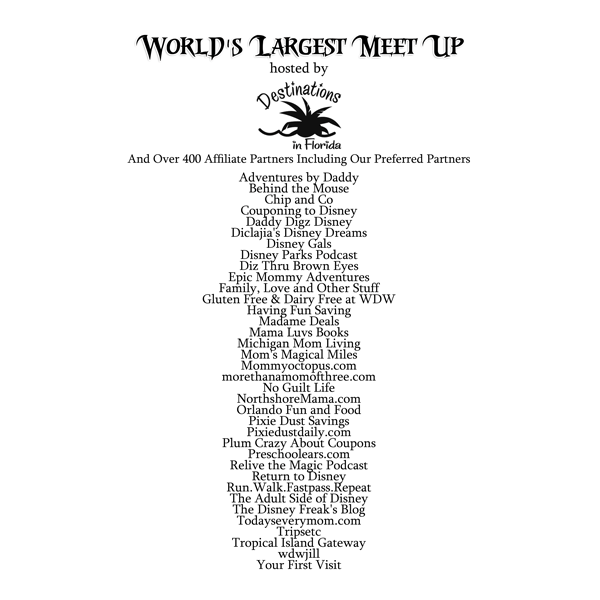 7.30 pm Plaza Ice Cream Parlor, join Orlando Food and Fun for a Meet Up over ice cream! Last man standing, meet at 5.45am for the Special “Kiss Goodnight” and a picture at the Main St USA RR Station. As you can see, we are hosting a Ice Cream Social at the Plaza Ice Cream Parlor at 7:30 PM! If you are planning on attending, please RSVP on the Facebook Event Page HERE to earn chances to win prizes at the meet up! It will be a great way to meet the writers, and earn some amazing Disney prizes! If you do tweet about the meet up please use our official Hashtag #Orlandofunandfood! Cant wait to see you all there!